The Nokia 8.1 keeps its classy just like the 7 Plus before it but goes big on camera performance. At an event held in Delhi, HMD Global launched its brand-new Nokia 8.1 smartphone at Rs 26,999. While it seems like Nokia has once again focussed on the design (like it did with the 7 Plus), it also seems to have the performance area covered with a brand-new Snapdragon 710 SoC inside. 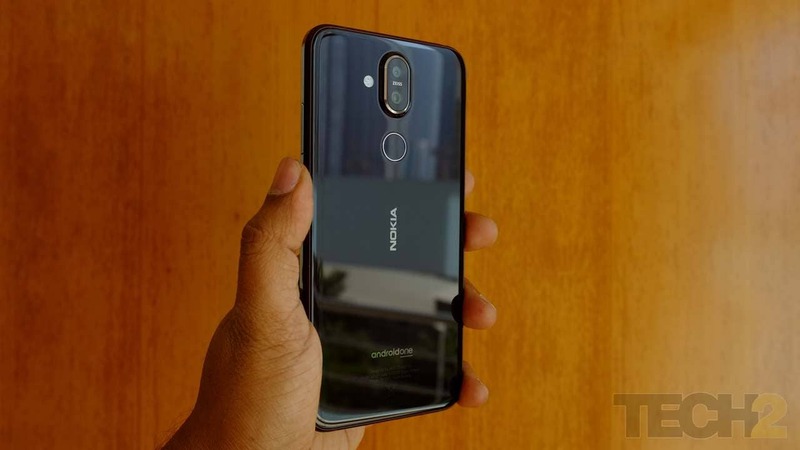 And given that attractive price tag, stylish design and good hardware specifications, the Nokia 8.1 will compete with plenty of new devices including Oppo's recently launched R17 Pro that is priced at Rs 45,990. So let’s take a quick look what at this mid-range beast packs in and the smartphones it will compete with, in India's competitive mid-range segment. The Nokia 8.1 isn’t really the replacement for the Nokia 8 or the Nokia 8 Sirocco, but spiritual successor to the Nokia 7 Plus instead. The Nokia 7.1 certainly does not live up to the standards (both in terms of design or specifications) set by the 7 Plus, so the 8.1 indeed is that successor we have been waiting for, even if the model numbering does not feel right. The Nokia 8.1, just like the 7 Plus before it, is a breath of fresh air in a sea of boring mid-range offerings that are trying to make up for their boring designs, by painting their devices in bright and shiny colours. The Nokia 8.1 uses 6000 series aluminium for its chassis and frame that is sandwiched between two sheets of 2.5D Corning Gorilla Glass. The frame is rounded and blends seamlessly with the 2.5D glass screen on the back and the front. It gets the same dual-tone anodised treatment as on the Nokia 7 Plus, but it is a lot more rounded, feels smoother and also gives the device a slimmer profile than its predecessor. The dual camera still protrudes from the glass back of the device, but the protrusion can be excused this time around, as the primary camera does pack in an OIS system that takes up some space. On the front, you get a notched display, with a rather broad notch that seems a bit pointless as it only eats into the display area. 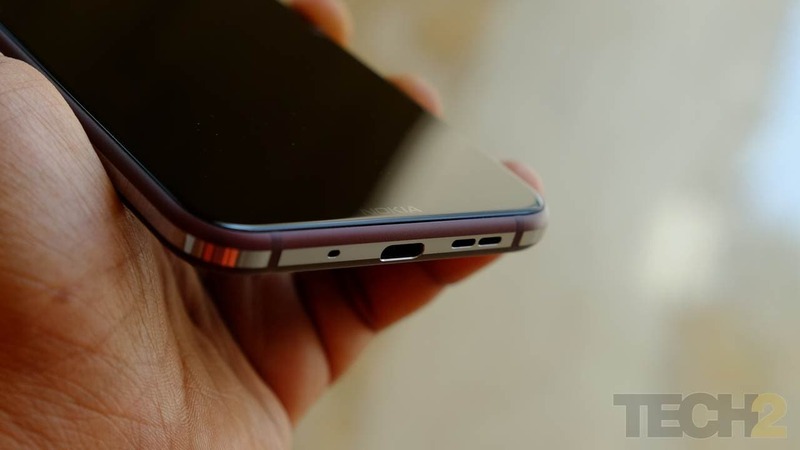 Moreover, that large notch does not even hold a bigger receiver speaker that could have doubled up as a dual speaker system along with the one that sits at the bottom end. 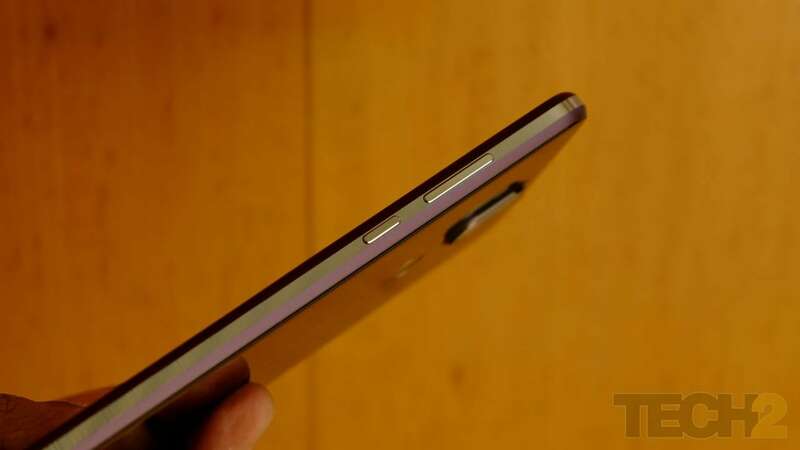 The fingerprint reader also sits below the dual camera set up at the back. For now, the glass back does not appear to be a fingerprint magnet, but let’s see how it holds up during the review period. The Nokia 8.1 features a 6.18-inch Full HD+ PureDisplay in an 18.7:9 display aspect ratio. Inside, you get a shiny new Qualcomm Snapdragon 710 SoC coupled with 4 GB RAM and 64 GB of internal storage. The internal storage can be expanded up to 400 GB using a microSD card which fits into the hybrid SIM tray, replacing the second SIM card. Nokia claims to offer up to 96 percent colour gamut which should technically make it colour accurate and also offers a 1:1500 contrast ratio. This according to Nokia helps when it comes to displaying HDR 10 content that should deliver richer colours. To be honest, the display looked pretty colour accurate and works well even in bright sunlight. The contrast ratios did feel a bit lacking. But I want to hold on to my thoughts till I fully review the 8.1 Plus. The Nokia 8.1 sticks to its philosophy of delivering a pure Android experience which means that the 8.1 comes with Android 9.0 Pie out of the box. The stock Android experience feels smooth and quick but it did showcase some lag when opening apps. I’m not really sure whether this an optimisation problem, but some of the apps did take a few milliseconds to load. The same can also be said for the camera app’s interface. Hopefully, this improves with future software updates. As for everything else, the experience is pretty close to what you would get on a Google Pixel 3XL. 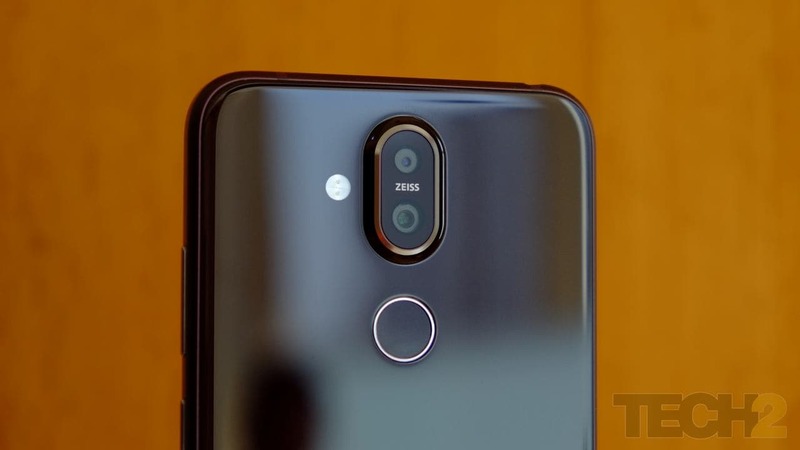 As for the camera, there is a 12 MP 1/2.55-inch sensor with 1.4-micron pixel size that also packs in OIS and 2PD, which is basically dual photodiode tech. The technology which splits a pixel into two to gather more light and deliver faster autofocus is not new, and has been around since the days of the Samsung Galaxy S7. The secondary camera at the back is used for depth sensing and it packs in a 13 MP sensor with a fixed focus lens. The selfie camera packs in a massive 20 MP sensor with a fixed focus lens. My initial impressions about the camera are that it kind of performs more or less like the Nokia 7 Plus. The images look crisp and the colours, although a bit oversaturated, look lively, especially in the Portrait shots. One new feature here is that the camera now saves the depth data when it clicks a Portrait photo using the rear dual camera setup. This means, you can now change the focus area and the blur level after you clicked the photo, which comes in handy at times. Nokia claims that the 8.1 delivers two days of battery life on a single charge. Inside, sits a non-removable 3,500 mAh battery, which can be charged quickly using the packaged 18 W charger. I will have to use it for a couple of days before the battery life begins to deliver the expected standby time with Android’s Adaptive Battery optimisations in place. So do look out for my full review in the coming days for more details on this. The Nokia 8.1 looks classy compared to the Oppos and Vivos in its segment and it even comes out on top when it comes to hardware specifications, save for the 4 GB RAM which seems sufficient in 2018. The Nokia 8.1 will compete with the Poco F1 (Rs 19,999), the Vivo V11 Pro (Rs 25,990) and the Oppo R17 Pro (Rs 45,990). While the Snapdragon 710 is indeed no match for the 845, Nokia’s stock Android approach could help the 8.1 when it comes to everyday usage. 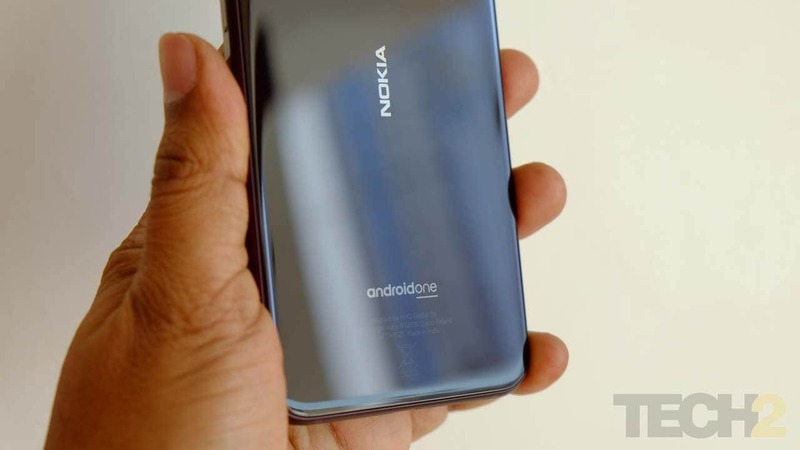 What’s more important is that the Nokia 8.1 packs in Android One and this makes it the only device is in its segment to feature Android 9.0 Pie. Indeed, that Rs 26,999 price tag looks mighty attractive right now, but I will be able to conclude whether these specifications on paper perform better than the competition in my full review, which should be out soon.